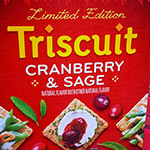 More Ancient Holiday Appetizers! | Dinosaur Dracula! Every holiday season, I’m inspired to dig through my ancient recipe books, searching for meals and appetizers that haven’t been in fashion since before I was born. Why? I DON’T KNOW. No matter how this odd passion took form, it’s been a part of my holiday celebrations for as long as I can remember. These recipe books, mainly of the Betty Crocker variety, were always in the kitchen cabinet when I was growing up. As an adult, they still squeak their way in, because I can’t remember the last yard sale I went to that didn’t have a dozen hardbound Better Homes & Gardens cookbooks laying on the grass. I always buy them. I’m adequately armed to build a fort out of those books. The recipes inside are rarely seasonally specific, but I always associate them with this time of year. I’m never satisfied with a holiday meal unless it includes at least one dish that hasn’t been popular since 1973. Many of these recipes are weird by today’s standards; others have fallen out of favor as the world’s grown more nutritionally conscious. 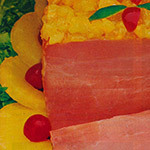 Still, back then, food looked like so much fun. Like something you’d make out of Play-Doh or LEGO bricks. 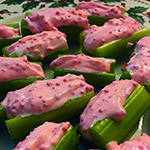 So, in continuation of something I’ve done before, below are four more holiday-appropriate appetizers, plucked from some of my oldest cookbooks. 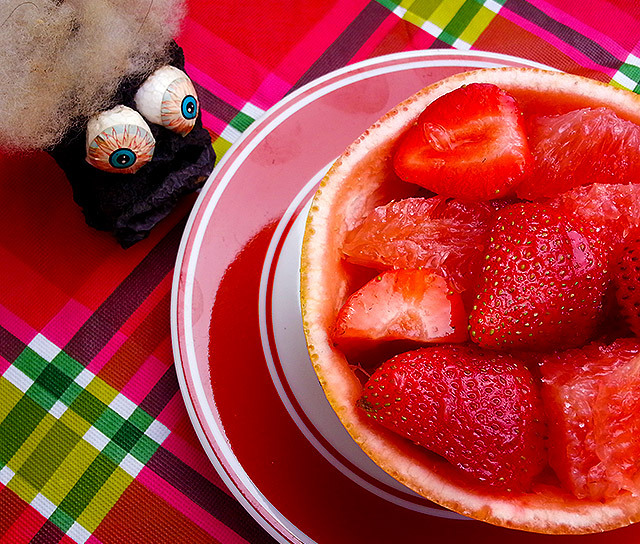 None of them are too strange, but that won’t stop you from telling me how you’d never eat them, in great detail. And that’s fine! If you’re determined to make one of the four things in this article, please make it this one. These are GOOD. 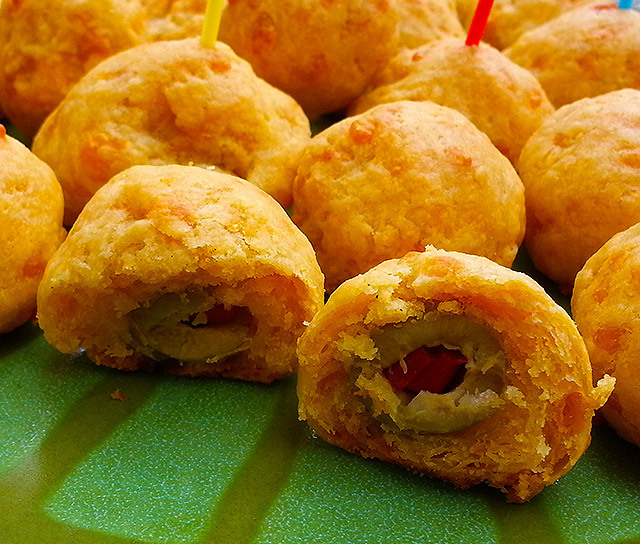 Olive-Cheese Balls are easy to make, and incredibly delicious. They’re also incredibly bad for you, but I think you could tweak the ingredients if you wanted them to be a little less rich. After preheating the oven to 400 degrees, pop ‘em in for 15-20 minutes. 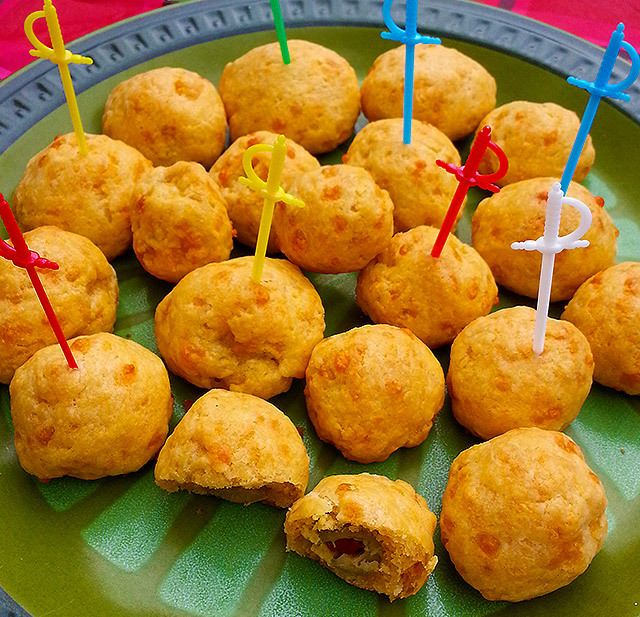 You’ll want them to remain in the oven long enough to develop dark spots, because the best Olive-Cheese Balls are the ones that look like styrofoam comets from a second grader’s science fair project. Given that they’re olives surrounded by cheese and butter, they’re gonna taste good no matter how bad you mangle the recipe. I’d compare them to the biscuits at Red Lobster, which as some of you know is the bread version of crack. As an added bonus, the cooking process will make your kitchen smell like a movie theater. My passion for old recipes doesn’t necessarily mean that I’m any good at executing them, and yeah, had I been a little more patient, this Grapefruit Cup would’ve turned out better. 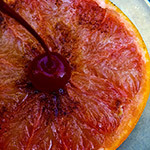 First, you cut a couple of grapefruits in half. Then you scoop out of all of the actual fruit, leaving bald shells that can — on a stretch — double as serving bowls. 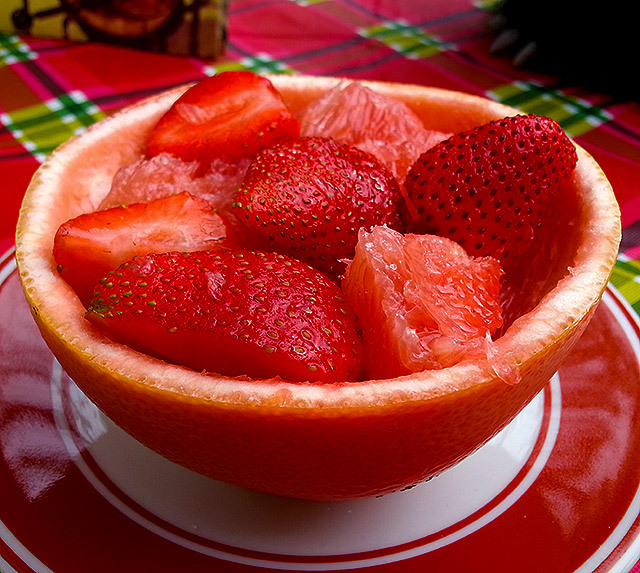 Divide into as many as four “grapefruit bowls,” and serve. 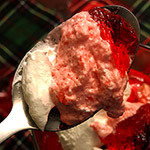 I know it just looks like a pile of simple cut fruit, and it is, but the sugar and especially the bitters add so much. It basically tastes like fruit that was stolen from a vat of someone’s homebrew sangria. And using grapefruit skins for bowls? You’ll feel like a charter member of the Go Green Initiative. Thumbs up! Even though I can’t cut fruit correctly. I just don’t have it in me. 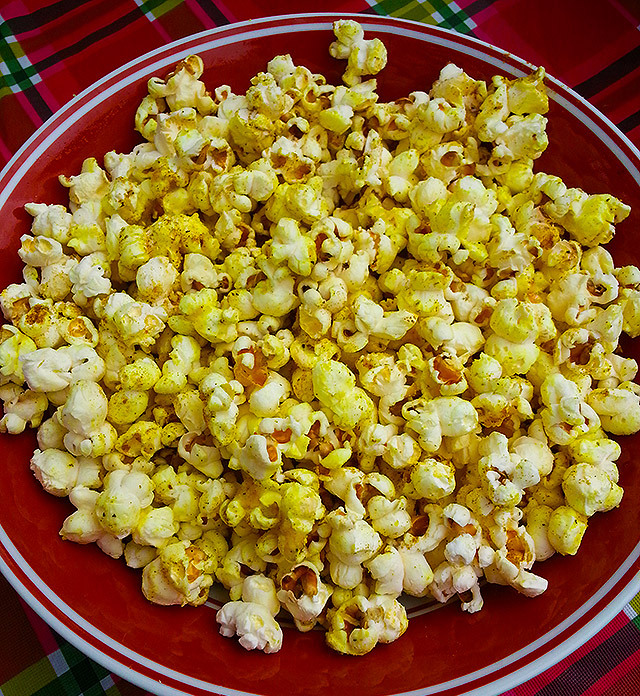 My old cookbooks provide tons of ways to mess with popcorn; I chose this particular recipe because it’s decidedly unlike any “special flavor” now sold in microwavable bags. 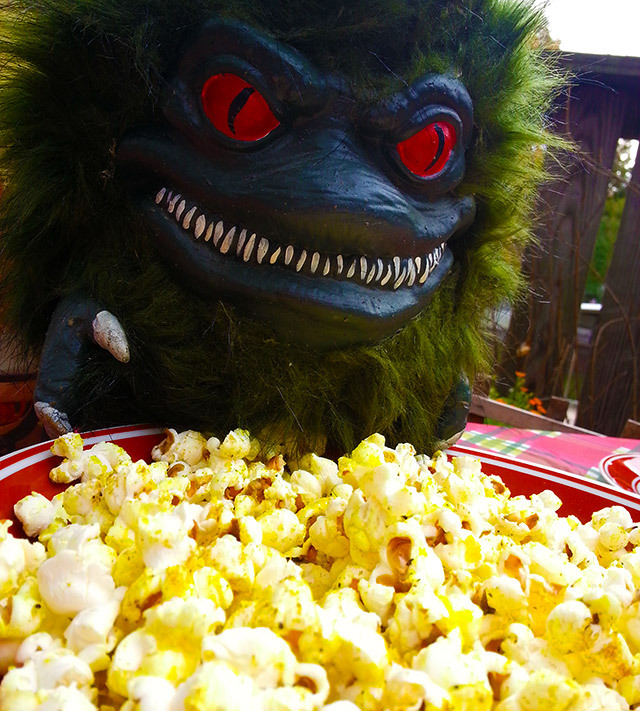 Pour that semiliquid gold over the popcorn, and mix it like crazy. (Seriously, you can’t just dump this on — it’s not watery enough. You really gotta toss it.) I ended up adding extra curry powder, mostly for color. It’s pretty great! Kind of tastes like cheesy popcorn with Old Bay seasoning on it. It’s not something you’ll crave often, but a special occasion calls for special popcorn. Thumbs up, again! When I eat this, I feel like I should be having a philosophical discussion with people who only wear expensive clothes. I know that doesn’t make much sense now, but after you eat Parmesan-Curry Popcorn, it will. Uh oh, it’s this one. 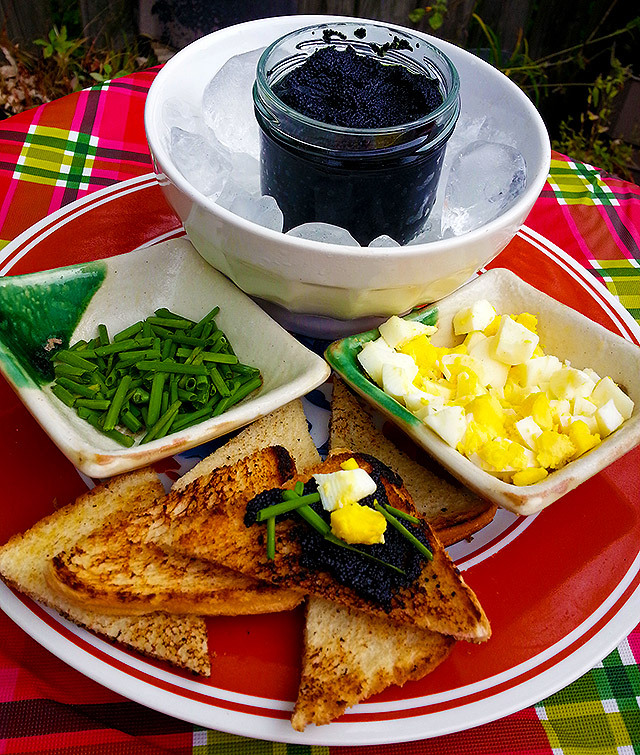 Longtime readers know that I can’t do an “old recipe post” without bringing cheap, room temperature caviar into the fray. Even if it’s only caviar on a technicality. Most grocery stores sell it all year, and given that it’s never chilled and has no expiration date, it’s not exactly Ossetra. 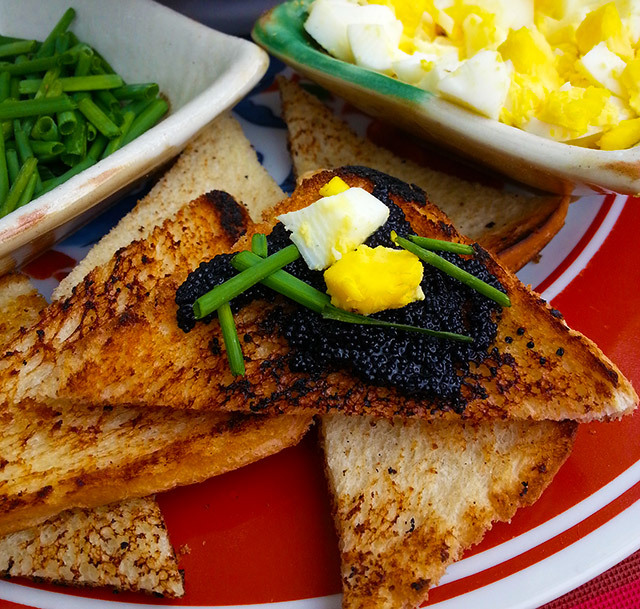 Good caviar is polarizing enough, but warm black gobs of fake caviar is an even tougher sell. And the fact that the whole spread looks like an abstract boss from a secret Starfox level only makes matters worse. 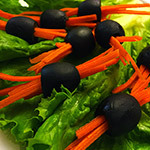 The resulting appetizers weren’t much different from the Caviar Canapes I made in 2012, and I suspect that they’ll be met with the same degree of reader resistance. I can’t even yell at you about it. I understand. Thumbs down, because I have to stay objective. Actually, I don’t care about objectivity… I just don’t want to lose my street cred by thumbs-upping three dollar caviar on burnt toast. 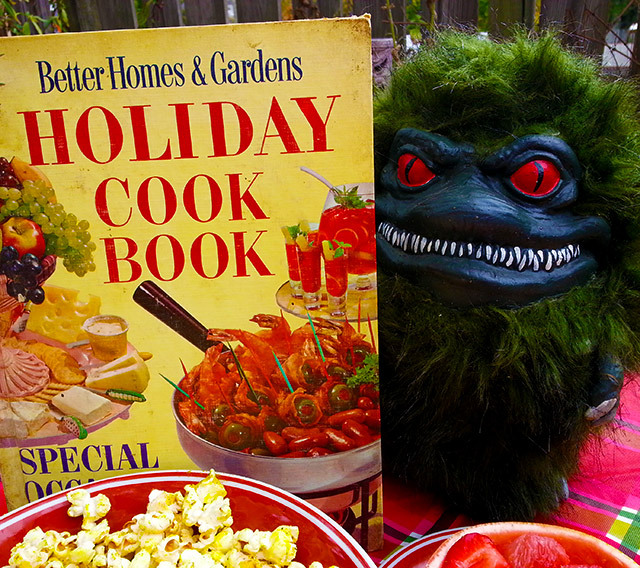 No matter how little use it was to you, I hope you’ve enjoyed this exploration of holiday appetizer recipes from, what, 35 years ago? Something like that. It took twelve hours and forty bucks to create this post.